Rafael Ferrer, a native of Puerto Rico who moved to Philadelphia in 1966, created El Gran Teatro de la Luna for the Fairmount Park Art Association’s (now the Association for Public Art) Form and Function project. 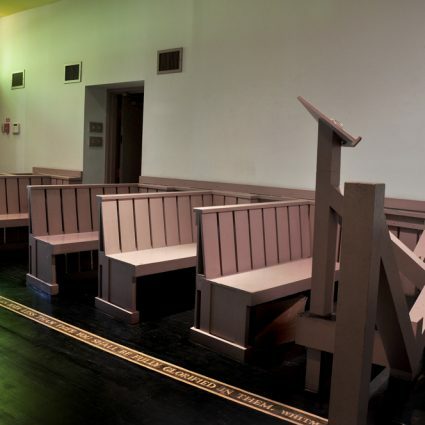 Following a period of time in storage, El Gran Teatro de la Luna was recently restored and repainted by Ferrer for the City of Philadelphia through the Office of Arts, Culture and the Creative Economy, with funding from the NEA and matching support for the artist by the Association for Public Art. The sculpture was reinstalled in 2012 as part of Philadelphia’s Parks & Recreation’s site renovations. 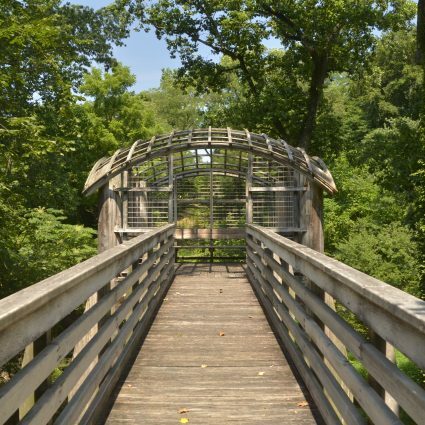 In 1999, as part of the Association’s New•Land•Marks program, artist Jaime Suárez developed Glorietas of Fairhill Square which incorporated a pavilion that could provide a new base for Ferrer’s work. 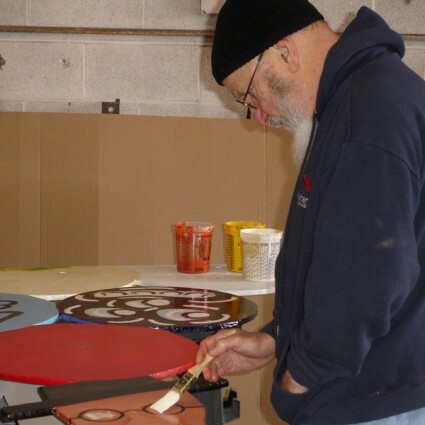 New York based artist and percussionist Rafael Ferrer was born in 1933 in Santurce, Puerto Rico, and lived and worked in Philadelphia for many years. From his early days as a musician and his Surrealist-influenced abstract drawings and conceptual/process actions and installations, to his lush tropical paintings, maps, and works on paper bags, Ferrer’s work defies categorization. 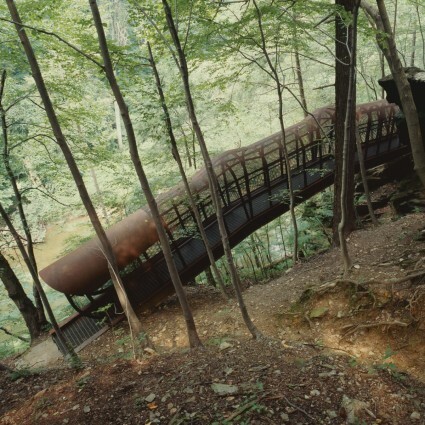 His artwork was featured in a major retrospective at El Museo del Barrio in New York City in 2010, and a 2012 survey of his works on paper at the Lancaster Museum of Art, PA. His work is included in the permanent collections of many museums in the US and abroad. In 1970 he executed Deflected Fountain 1970, for Marcel Duchamp on the East Terrace of the Philadelphia Museum of Art. 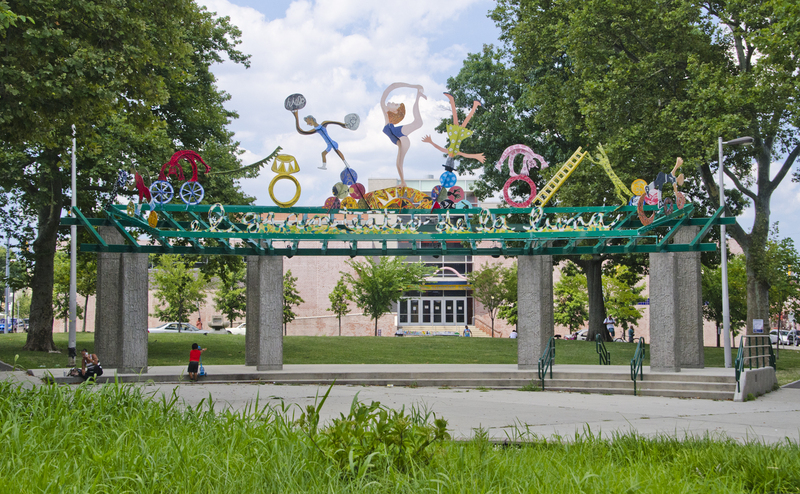 His sculpture El Gran Teatro de la Luna was commissioned by the Fairmount Park Art Association (now the Association for Public Art) in 1982 for Fairhill Square Park in North Philadelphia. Ferrer has repainted and restored El Gran Teatro de la Luna for the City of Philadelphia through the Office of Arts, Culture and the Creative Economy, with funding from the NEA and matching support for the artist by the Association for Public Art. The sculpture was recently reinstalled as part of Philadelphia Parks & Recreation’s site renovations, and a rededication ceremony was held Tuesday, May 14, 2013. Rafael Ferrer: Artist, creator of “El Gran Teatro de la Luna”. Carmen Febo San Miguel: Executive Director of El Taller Puertorriqueño. Deborah Cullen Morales: Created a retrospective of Ferrer’s work for El Museo del Barrio. 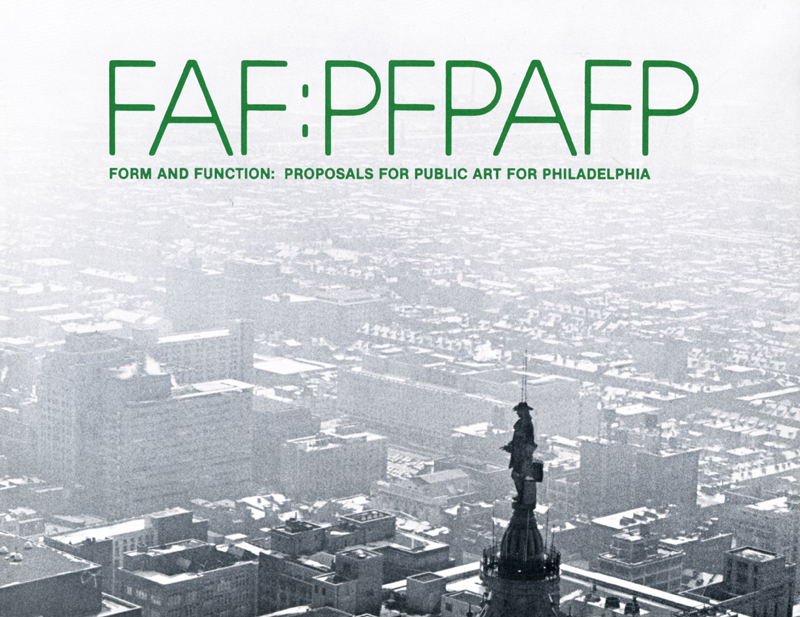 Rafael Ferrer was the guest speaker at the Association for Public Art’s 141st Annual Meeting on May 13, 2013 at the Philadelphia Museum of Art. The New York based artist and percussionist delivered a thought-provoking and engaging illustrated talk (“Nothing is…what it is”) to attendees in the Van Pelt Auditorium, tracing his personal development as a musician and visual artist over the past 60 years. 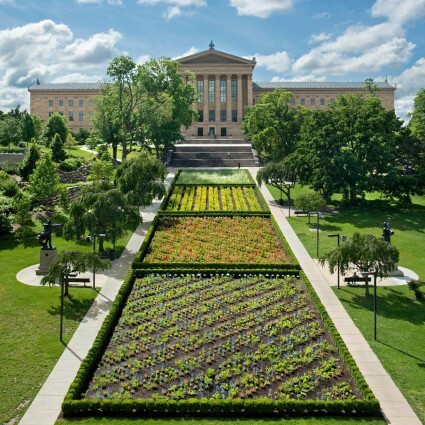 For this occasion, the Philadelphia Museum of Art showcased two of Ferrer’s artworks from their collection.